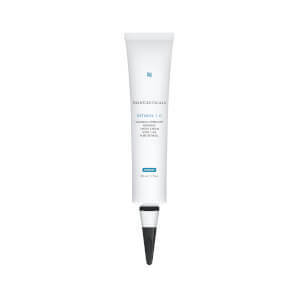 SkinCeuticals Retinol 0.5 Refining Night Cream smooths and clears away your skin issues, while still being gentle and non-irritating on your skin. It uses a stabilized formula and advanced delivery system for optimal results. Ideal for those with aging, hyperpigmented or acne-prone skin. Ideal for those with aging, hyperpigmented or acne-prone skin. Smooth a small amount onto the skin at night after cleansing. Aqua / Water / Eau, Cyclopentasiloxane, Cyclohexasiloxane, Dimethiconol, Alcohol Denat., Pentylene Glycol, Allyl Methacrylates Crosspolymer, Dimethicone Peg-7 Isostearate, Sodium Polyacrylate, Dimethicone Crosspolymer, Dimethicone, Cyclomethicone, Glycerin, Retinol, Hydrogenated Lecithin, Polysorbate 20, Polyacrylamide, C13-14 Isoparaffin, Laureth-23, Laureth-4, Bisabolol, BHT, Laureth-7, Trisodium Edta, Propylene Glycol, Salvia Officinalis Leaf / Sage Leaf Extract, Chamomilla Recutita Flower Extract / Matricaria Flower Extract, Propyl Gallate. I've been using Retin-A for a decade- sensitive skin with Melasma, 50yo; but when I moved to a higher altitude a few years ago my cheeks became more sensitive, dry and red. I was using 1% strength and, after changing my regimen with new products I saw no results, the dryness came back every so often. My esthetician suggested the Retin-A cream wasn't good quality- I was using my dermatologist's brand!- and I changed to Skinceuticals, lowered the strength and boy what a difference! This product is amazing- glides easily, has a pleasant smell, absorbs quickly and does not irritate my skin or make it more sensitive. Same great results, no added sensitivity, irritation or redness. Will stick with this forever! This 0.5 retinol is potent, start using as directed and not too frequently to start. Great product but I prefer the 1% version. It just is more effective for my skin. If your skin is too sensitive for it, though, this is also an effective version. I am just beginning to use this product. Go slow! I am using just once a week because it is so powerful. The first use made me peel some. Definitely, use as directed, just the pea size amount! I had a few pimples on my chin area after the first use too. The second use was fine, no acne. My skin does look radiant. Use the sunscreen too! This is an excellent product for anyone wishing to add a Retinol product to their skincare routine! Awesome product! Love love this! Works so well to remove dark spots and smooth skin! 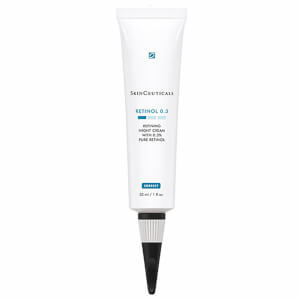 I try other OTC retinol products, some that are even more expensive than this one, and I always return to Skinceuticals. This is an excellent retinol that does not irritate my skin and gives results. It helps with my hormonal acne and does help with minimizing fine lines. I like this retinol, but having used retinol products before I am looking forward to upgrading to the 1% when I'm finished. I think for the price you get a lot of product! I will continue to purchase. This product is suitable for all skin type. Recommend to use it at nighttime. I have used a prescription product for years for my retinol night cream. 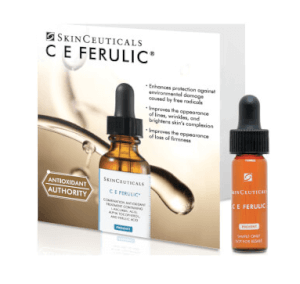 I read about this product - & because of my trust in Skinceuticals - I placed an order for this. I so love this cream. I prefer it to my prescription cream!